During the month of August, millions of students across the U.S. are making final preparations to begin their college careers. Interestingly, many HBCUs offer programs for pre-freshman to get acclimated with class, financial aid and other key aspects of college/university life. Todays MSI Monday Morning Line Up highlights 5 HBCUs with dynamic pre-freshman programs for accepted students. Morehouse College currently offers a free six- week program for pre-freshman entitled, the “Pre-Freshman Bridge Summer Science Program.” The program is offered to students planning to major in chemistry, biology, computer science, engineering, biology, or mathematics. The program is meant to give students “an accelerated start in college, and aid their adjustment to the regiment of college life.” Learn more about the programs offered to high school and pre-freshmen students by Morehouse College here! Howard University’s College of Engineering, Architecture, and Computer Science (CEACS) currently offers a free 4-week pre-summer program for admitted freshman students who’ve been accepted into CEACS. Accepted students can “participate in classes, workshops, social activities and small group projects to aid in their making an easy transition to the university.” Learn more about the CEACS’s offerings for pre-freshman here! North Carolina A&T State University (NCAT) currently offers a free pre-freshman program to for pre-freshman interested in pursuing medicine entitled, The North Carolina Agricultural and Technical State University and East Carolina University – Brody School of Medicine Early Assurance Scholar’s Program (EASP). Students interested must apply their senior year of high school. Of the 8 students selected each year, “up to two top EASP student scholars may be selected for guaranteed seats in the BSOM entering class, four years in advance” (source). Click here to learn more about this amazing opportunity for pre-freshman here! Central State University’s Summer Early Start Program is a five week “intensive academic enrichment” (source) program for pre-freshmen student who plan to major in writing, reading, critical thinking, health and wellness, and mathematics. Students enrolled in the program wills stay on campus and have the opportunity to connect with fellow continuing students and staff. Learn more about Central’s Summer Early Start Program here! Tuskegee University’s pre-freshmen program is entitled PREFICS, standing for Pre-Freshman in Computer Science. This 8 week program is designed for students interested in computer science to “earn up to 7 credit hours in college level mathematics and computer science.” The goal for students in these courses is to develop two foundational computer science skills–critical reasoning and problem solving. Learn more about Tuskegee PREFICS program’s great work here! Know of other pre-freshman programs at HBCUs? Share in the comments below! It is never too early to start thinking about scholarships and if you attend a Hispanic Serving Institution (HSI), the Hispanic Association of Colleges & Universities (HACU) have some great opportunities for you to check out. The HACU Scholarship Program administers scholarship opportunities provided by their partners to assist in defraying some of the college expenditures. Below you will find a few of the scholarships provided by HACU and their partners. Big Red, known as America’s original and #1 red soft drink supports HACU’s mission of Championing Hispanic Success in Higher Education. The Big Red ¡Avance! Scholarship program awards five $1,000 scholarships to qualifying students that attend a HACU-member institution annually. For more information, click here. Café Bustelo aims to invest in the Latino community by awarding scholarships for those who seek better futures for themselves, their families, and their communities. They’re looking for motivated college students with a passion for community involvement and furthering their education. El Cafe Del Futuro Scholarship awards ten $5,000 scholarships to full-time undergraduate or graduate students of Latino descent. For details, click here. Oracle recognizes that fostering a diverse and inclusive workforce where all employees contribute to thought leadership drives innovation and engagement. One way they promote this idea is by offering a scholarship of $2,150 annually to undergraduate students who are attending a two-year or four-year HACU member institution within the U.S. or Puerto Rico. Additional information can be found here. Southwest Airlines, in conjunction with the Hispanic Association of Colleges & Universities (HACU), offer an annual travel award program for undergraduate and graduate students attending a HACU member institution within the U.S. or Puerto Rico. Through this national education initiative, HACU and Southwest Airlines award roundtrip e-passes to currently enrolled students across the country who travel away from home to pursue a higher education. For details on eligibility requirements, please click here. To learn more about these scholarships and other opportunities available to students at HSI’s, Eligibility and additional detailed information can be found on their website. 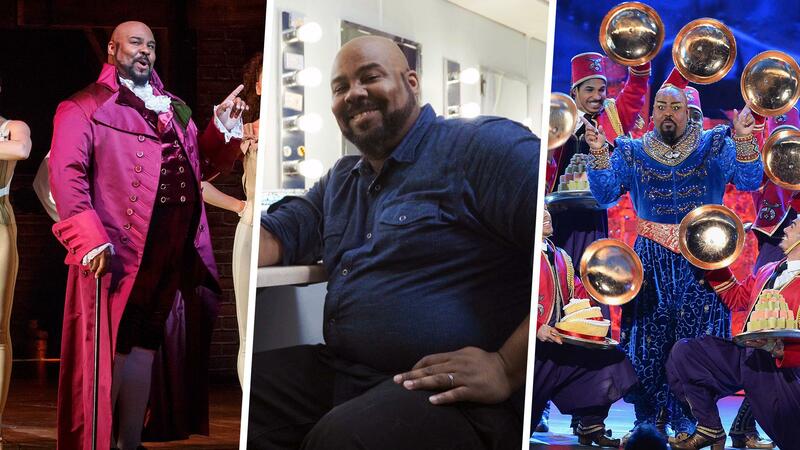 Since the 72nd Tony Awards were just a month ago, we wanted to take a look at who acted, sang, and danced their heart out on Broadway after attending an MSI! Jennifer was the first to play the role of Effie White (later played by Jennifer Hudson in the movie). 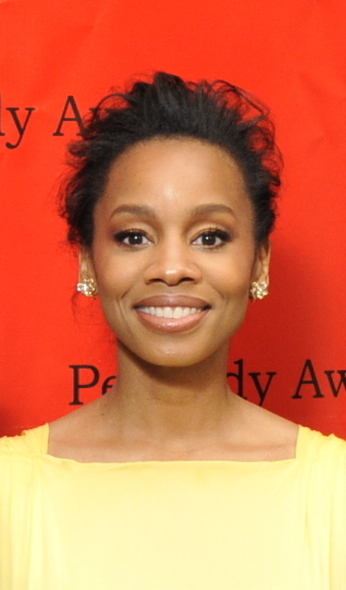 She has continued to perform on Broadway, most recently in the Tony Award winning revival of A Color Purple as Shug Avery. 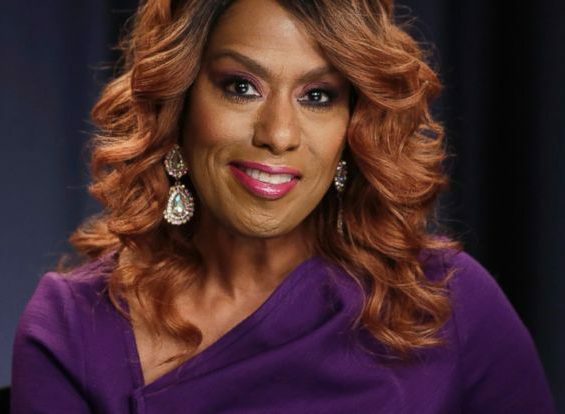 Mary graduated from Chicago State University and worked as a teacher before starting a career of almost 40 years in the entertainment industry. Some may know her from her movie role in The Matrix Revolutions as The Oracle. 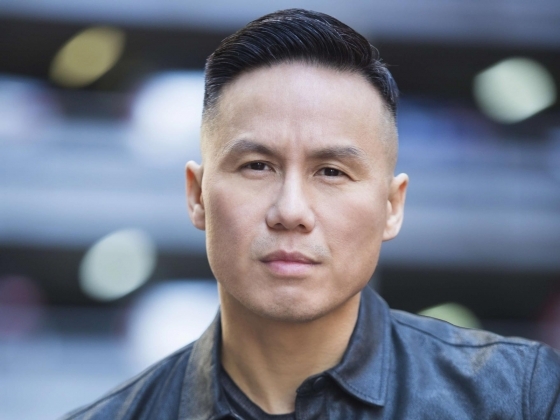 As the only actor in Broadway history to receive the Tony Award, Drama Desk Award, Outer Critics Circle Award, Clarence Derwent Award, and Theatre World Award for the same role, Bradley Darryl “B.D.” Wong made waves on Broadway. However, many know him from his expansive T.V. and movie career in roles such as Dr. George Huang in Law & Order: SVU or as the voice of Captain Li Shang in Mulan. Phylicia was the first black actress to win the Tony Award for Best Actress in a Play in the revival of A Raisin in the Sun and would go onto to receive the NAACP Image Award reprising that role in the movie remake. Many know Phylicia as Clair Hanks Huxtable, the matriarch of The Cosby Show. Many may know Anika from her role in the Dreamgirls movie as Lorrell Robinson and as the voice of Princess Tiana in The Princess and the Frog. 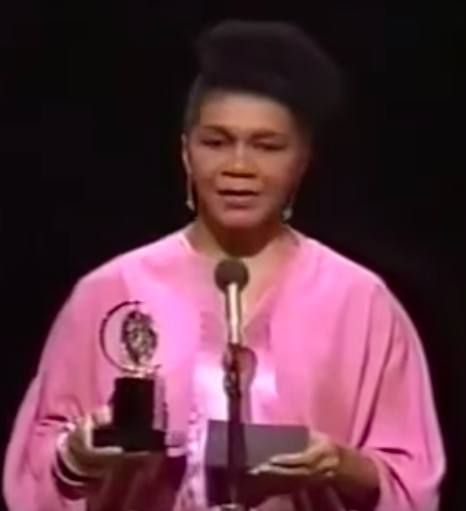 Her most recent Broadway appearance was in 2014 as Beneatha Younger in a revival of A Raisin in the Sun, which also led to her receiving a Tony Award nomination for Best Featured Actress in a Play. After a Tony Award winning run as Genie, James presently plays the roles of Marquis de Lafayette/Thomas Jefferson in the Broadway cast of Hamilton. You may also know James from his appearances on Unbreakable Kimmy Schmidt. Today’s society emphasizes the necessity and privilege of obtaining higher education. Unfortunately, many undocumented students in the United States are excluded from this privilege, facing adversity as they fight for their right to higher education. Undocumented students in higher education, known as DREAMers, have been described as individuals brought to the United States as children with no legal status. With a lack of infrastructure and/or support for this student population nationwide, some MSIs have dedicated resources to support them on their academic journeys. As an HSI, The TDRC is designed to provide a safe space where students can connect with one another. They provide undocumented students with academic and emotional support, referrals to financial assistance, and information on programs/services designed to improve retention/graduation rates. Additional information can be found here. The Glazer Family Dreamers Resource Center works closely with the Office of the Vice President for Student Life by assisting students with the cost of submitting a DACA renewal request. The center promotes the success of undocumented students at Cal State LA, known as an HSI, through a plethora of resources, services, and community engagement opportunities. They strive to create a welcoming environment where undocumented students can grow, flourish and succeed. For more information, click here. Designated as an HSI, CSULB’s Dream Success Center was established with the intent to provide services, resources, and support to undocumented students. Their mission is simple: empower scholars who are undocumented in their pursuit of higher education and foster a supportive campus community dedicated to their educational and personal success. For more information, click here. The Dreamers’ Resource Office is dedicated to serving the AB540 and undocumented student population through advocacy, guidance, and support at UCI, which is designated as an AANAPISI. The programs and services are designed for students to achieve academic, personal, and professional experience. The Dreamers’ Resource Office is directly connected to the Student Outreach and Retention (SOAR) Center. For more information, click here. Under the umbrella of their Educational Opportunity Programs, USS provides a robust set of services and support to bolster the graduation and retention rates of undocumented students at UC Santa Cruz, an HSI. The services include peer mentorship and academic advising, which provides personal, academic, financial, and legal support to all UCSC undocumented students. For more information on the resources the USS provides its students, click here.